American motorhomes built on Chevrolet/Workhorse chassis have always had problems with excessive brake bind, although this problem seems to manifest itself when the vehicle gets to about 6 years old. The cause of this problem is by the use of phenolic brake calliper pistons. Phenolic is a resin which has replaced the use of the old steel pistons. When the brakes get hot, this heat is transferred to the brake fluid through the steel pistons, which could then cause the brake fluid to boil, this is known as “brake fade”. The manufacturers answer to this is to use phenolic pistons to insulate the brake heat from the brake fluid. What the manufacturers were not aware of is that phenolic absorbs moisture, this moisture when absorbed causes the brake calliper pistons to become oval and this then causes the brake piston to stick, not allowing the piston to return when the driver releases the brake pedal. This problem can be detected if you raise the road wheel from the ground and manually try to rotate the wheel, although sometimes you can smell the brakes or even see the flames if the problem has been left to manifest. Mineral brake fluid naturally absorbs water which lowers the boiling point of the brake fluid. If this boiling point becomes lower than 140 degrees Celsius for DOT 3 brake fluid, this can become very dangerous and increase the chances of getting brake fade. From 1999 to 2005 Workhorse fitted Bosh brake callipers and brake rotors to their W22 chassis, to which a lot of Winnebago motorhomes were built. These callipers and rotors are much smaller allowing a greater steering lock and smaller turning circle. The callipers have been sticking whilst they have only been a couple of years old; this is due to the phenolic problem. Some vehicles have had their callipers changed under warranty, when this happened they were replaced with some type of calliper with a phenolic piston. This fault continues to reoccur; the only way to solve this problem is to replace the pistons with steel. LAS have found that Winnebago owners who have their RV’s serviced annually did not have this problem when the vehicles were recalled for warranty because the brake fluid had been tested and found to contain water, this fluid had then been replaced early on. This preventative maintenance stopped the phenolic pistons absorbing the moisture, and so far LAS have not found the fault occurring again. On the recall, the brake callipers were changed under warranty, although the customers had to pay large sums of money to have the brake discs changed. 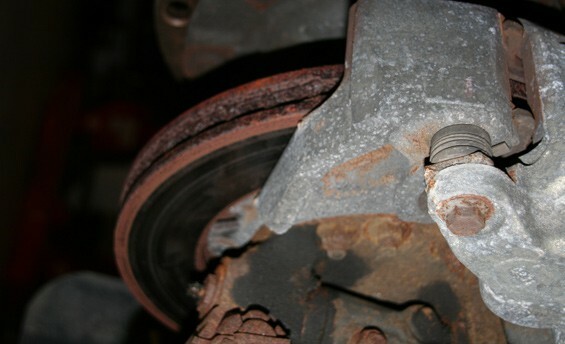 If this fault does occur to your motorhome, as it does on the 18,000 lbs chassis, LAS technicians can reface your brake discs at a fraction of the cost. 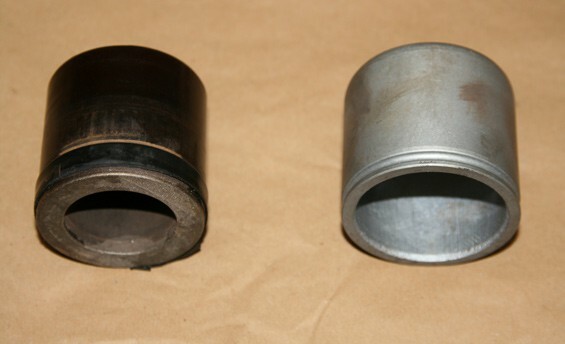 Here you can see the phenolic piston on the left and the steel piston on the right. Some motorhome repairers would expect you to pay a lot of money to replace the brake disc. 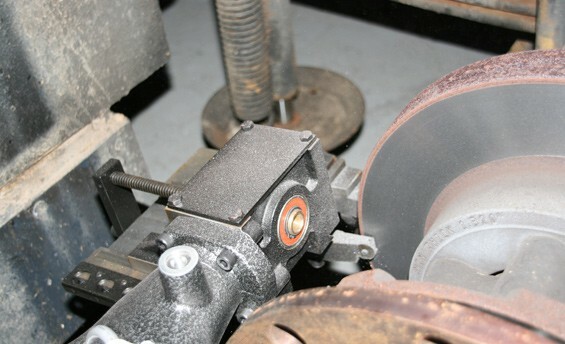 This picture shows a brake rotor being refaced. This is the brake disc undergoing the final cut ready to be used again. For more information regarding brakes contact LAS Motorhomes on 01604 861999.